Kubicek balloons released Service Bulletin BB/45 dated 30 April 2014. It somehow passed us by concerning transparent windows fitted to BB envelopes. It lists the balloons affected as Kubicek BB balloons with transparent windows of early design without a tape around the window foil edge (envelope serial numbers: 662, 663, 674, 709, 711, 714). The SB requires the edges of these windows to be inspected for possible damage to the adjacent fabric at the next annual/100 hr inspection. 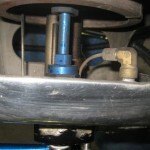 The SB is on the Kubicek Balloons website at http://www.kubicekballoons.eu/technical-support/service-bulletins along with a couple of useful pictures. Interestingly there is not really any real guidance on inspecting transparent windows in any of the manufacturers manuals apart from stating the obvious. Having said that we haven’t come across any damage to them or the stitching. They are certainly jolly strong! The next BBAC Instructor training days have been announced as Saturday 29 November 2014 and will cover EASA Part 2, Saturday 7 March 2015 marking the start of a new (non EASA) series of days for those that have any of the parts missing then Saturday 21 March 2015 which will be the landmark (landslip!) start of the EASA syllabus (Part 1). You will need to book through the BBAC shop at www.bbac.org/shop. All the parts to meet the EASA requirements to convert to the EASA rating have now been repeated seven times and all four parts have been repeated over the last 12 months. A few new Instructors have requested if an additional day can be held to help them complete the EASA syllabus before April 2015 and in response an additional day may be possible on 30 November 2014 but will depend on availability and demand. Dave Court the BBAC Training Officer said that Instructor Days are expensive to hold and rely on sufficient numbers to share the cost. If you require an additional day or for further details please email training@bbac.org. The Australian Transport Safety Bureau has announced that the report on the tragic death of Steph Bernoth as a result of her scarf being drawn into the inflation fan in Alice Springs has been delayed. They say that a draft report will be released in August for comment with the final report being published in September. The investigation was launched immediately following the accident but on 30th May the ATSB stated that the report has been delayed ‘because the investigator is involved with other aviation safety investigations’. The first little and Large Meet held at Sackville Lodge scored a massive four out of four slots flown. Over 50 flights were made with at least 15 on the Saturday morning lift. The winds were generally light suiting the one-manners perfectly. A couple of ‘proper’ balloons gate-crashed but they behaved well and joined in the fun. Tim Wilkinson of Sackville Lodge served up a fine Barbie on Saturday evening which was well appreciated. Also in attendance were some lovely model balloons along with radio-controlled aircraft and of course the usual airfield traffic. Nice to see that now respectably old duffer Derry Moore in attendance who broke the rules and flew off with Tony Knight. Well done to all involved we say. A fuller report will follow. There is a great little time-lapse video of the event on Youtube posted by Brian Mead. Brilliant. http://www.youtube.com/watch?v=Ge8a58HKZ18&feature=youtu.be. Picture courtesy James Taylor thanks. After years of dedicated service during which time the Aerostat was revitalised and turned into a very well-respected ballooning magazine in its own right, never mind more than serving the needs of the British Balloon & Airship club, Liz Meek has finally decided that it is time to hand over to someone else. Taking on the editorship of Aerostat back in 2001 was no simple undertaking as she was already a sub-editor on The Sunday Times and The Daily Telegraph and quite how she managed to produce the magazine to such a high standard will always remain a mystery. It takes an awful lot of work getting articles together and getting some order into a magazine such as The Aerostat. Understandably the BBAC has announced that it is now in need of an Aerostat Editor as soon as possible. If you are interested please contact Paul Spellward who has all the details vicechairman@bbac.org. They are hoping to hold interviews in Stratford at the end of the month. Liz will be a hard act to follow. We wish her every success in the future and maybe a story or two from her will be included by the new editor. Liquidators Elwell Watchorn & Saxton have just given notice that the Annual Progress Report on the winding up of Cameron Balloon Flights Southern Limited trading as Go Ballooning and Go Vouchers for the period 24 April 2013 to 23 April 2014 has now been published. The Liquidator J G M Sadler has produced a very thorough 12 page report that makes for interesting reading. It is available for downloading or viewing on their website once you have got a password or as hard copy by contacting EWS. One item of concern to the Liquidator is that a significant number of creditors on their original lists who had paid for services by credit or debit card have now successfully reclaimed their money under the ‘chargeback’ scheme. If you have managed to reclaim your money under such a scheme the Liquidator would be most grateful if you could let their office know. Notice can be made via the dedicated email address goballooning@ewsllp.co.uk or by telephone 01509 815121. Following the de-regulation by the CAA of single seat microlights there is now a strong move to get the same exemption for one-man balloons. It has always been a bone of contention that you get charged for passenger liability in a hopper and also have to go through all the same paperwork stupidity as an Airbus. The CAA having taken the decision on the microlights now have precious little reason not to include one man balloons and to this end those attending the Little and Large meet signed a declaration in support of any proposals to de-regulate. 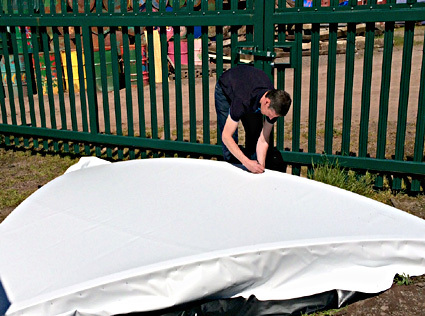 If this works it will mean that one man balloons will be able to hold a UK Certificate of Airworthiness but will not need an Airworthiness Revue Certificate, something that we are contesting at the moment for balloons in general. There is support within the CAA for such a move which should be applauded. Yes I know I’m being polite about the CAA!! 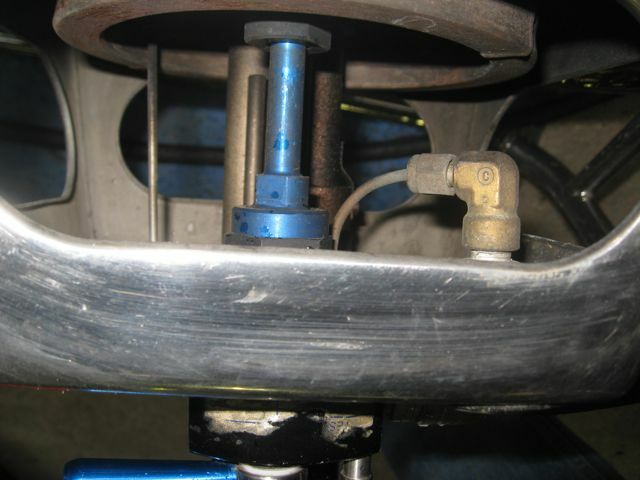 Don Cameron’s recent piece on the bonkers that is EASA and the serious damage its regulations have inflicted on balloons in particular and general aviation was well received and has gained a lot of support. It is now clear that EASA need to do something to sort out the bureaucratic mess and nightmare their jobsworths have created. Just announced is yet another NPA (no point actually!) but this time it is a consultation on a possible consultation! A-NPA-2014-12 "European Commission policy initiative on aviation safety and a possible revision of Regulation (EC) No 216/2008" is now open for consultation on the EASA website. To place comments, you’ll have to use the automated Comment-Response Tool (CRT) available at http://hub.easa.europa.eu/crt/. The deadline for submission of comments is 15 Aug 2014. We are currently wading through a smaller than usual pile of nonsense and after consultation with Don and will be responding to the bits we can. All joking apart this is actually a good bit of news and we should take full advantage of it. Whilst it is reasonably realistic to expect some alleviation as far as smaller balloons are concerned it is unlikely that balloons used for passenger carrying will get off with lighter legislation but who knows. If you don’t ask you don’t get. Mind you there isn’t really anyone in EASA that you can ask and even fewer that can make a reasoned decision however the BBAc’s Phil Dunnington has been busy attending meetings with other European ballooning representatives with the aim of forming a new European balloon organisation, tentatively called the European Balloon Federation (EBF for short) to put pressure on EASA to simplify the EASA training process for balloon pilots, the removal of the 65 age limit, doing something about the restrictions on examiners undertaking instructor flights and the proposed recency requirements that will simply not be possible for many pilots. Although I find the word ‘Federation’ a tad Germanic the new group has the support of the CAA and the Department for Transport and EASA have stated that they will review the situation in October. We may just hold our breath for a short while this time. Had to happen eventually. During a function organized by Barretstown, a charity close to Aidan Murphy’s heart, one he does a lot for and to which his ‘Clown’ balloon is dedicated he got chatting to His Excellency Dominic Chilcott, the British Ambassador to Ireland about ballooning and the connection with Barretstown. A few hours later he was well up for a flight. As luck would have it one of Aidan’s regular crew, Ciaran Wright (bloke in the middle), got himself rostered as His Excellency’s bodyguard for the flight so it turned out to be a proper team effort. The flight latest an hour and ten minutes in briskish winds. Typically they had a 40 foot drag at the end ending up in a bit of a heap with Aidan falling on His Excellency. No damage was done and he apparently loved it. There had been a long pre-flight briefing before the event mainly to decide how to address the important fellow. General consensus was ‘Your Excellency’ but it was admitted that ‘Sir’ was used a few times but after the landing incident they reverted to "Sorry about that Your Excellency". 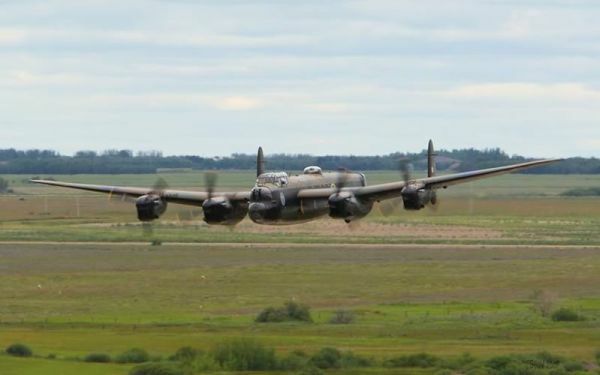 Phil Traviss, who sits on the 'NE Regional Airspace Users Group' (founded, and usually hosted, by the RAF for all types of airspace users) has posted information on the PRBA website at http://www.prba.org.uk/news_lbox.asp?nws_id=135 in connection with the Restricted Airspace being put into place for the Tour running through their region on 6th July. Two maps show the timed zone as it moves around following the route of the race. Aircraft operating in the zone are expected to be two filming helicopters at around 500agl working in association with one TV relay helicopter at about 2500 feet agl and a fixed wing TV relay jobbie at FL80. In addition there are expected to be five VIP helicopters whizzing about in the region of 1000 foot. He has also discovered a really useful link to a website called 'Airspace Avoid' which provides software for mobile devices running Android or iOS (iPhone and iPad) at www.pocketfms.com/airspaceavoid/. The software can help avoid committing an airspace infringement by depicting airspace structure. It also includes live NOTAM information directly from EuroControl and has been awarded the NATS Compliance Mark for Airspace Awareness. The Government’s security restrictions for the Glasgow Commonwealth Games begin on 13 July and end on 6 August 2014. A small Prohibited Zone established around the main Games’ venues will exclude all air traffic apart from commercial passenger operations into and out of Glasgow Airport, as well as helicopters operated by the emergency services and the official broadcaster. This will be surrounded by a larger Restricted Zone (21 July – 3 August), into which GA aircraft can fly providing they have notified the flight with air traffic control at least two hours before take-off. Pilots can do this on two dedicated phone lines. The Restricted Zone will be subject to capacity constraints and so pilots may be required to delay their flight. While in the Zone pilots must remain in constant radio contact with air traffic control and be flying an aircraft equipped with an SSR transponder. As well as being available on the official AIS NOTAM website, pre flight planning tools such as SkyDemon and Rocket Route will also have full details of the restrictions. For more details see www.airspacesafety.com/commonwealth. Rob Cross notes that Ultramagic Balloons now have 100 balloons registered on the UK register (excluding the 28 already de-registered ones) which is where they get registered if they are registered in the UK, I suppose, but anyway it was marked by Dave McCutcheon’s Skipton-based Airborne Adventures taking delivery of G-HTEK an M77 built in Ultralight fabric with a Tekno bottom end. It made its maiden flight from Alp airfield in the Pyrenees on May 18th with a landing at Soriguerola. Sponsors Hope Technology are one of the world leaders in engineering bicycle components. Since 1989 the owners, Ian Weatherill and Simon Sharp, have been pushing the industry forward through designing, testing and manufacturing virtually all products in-house at the factory in Barnoldswick, United Kingdom. Nice one. Meanwhile a lot further south Fresh Air 2, G-CRZE, an M105, had its maiden flight from the Black Horse at Great Missenden on 16th May. Now it has to be said that its artwork is quite exceptional. Believe it or not it isn’t raised but just very cleverly printed. Fresh Air supply all types of quality branded clothing and their skills at reproducing artwork are no less impressive. This year marks its 40th year of trading and the balloon artwork represents their new branding. Interesting website as it ‘appens which shows how many items have been printed month on month. If you need some sweat shirts or t-shirts check them out. Team Wellwick use them or rather we do! Peter Dowlen’s long standing crewman and good friend, Johnnie Sanders has died after a sudden and short illness. 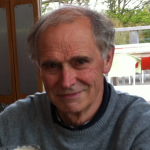 Peter writes, ‘It is with the deepest sadness and regret that I have to advise you that Johnnie passed away in the night after losing his battle with cancer. Johnnie flew with me in the balloon at our event in Llandovery on St David’s Day (1st March 2014) but, a day later, having arrived back home, he collapsed and was taken to hospital. He was diagnosed with gliosarcoma, a cancer of the brain. He had an operation but was not well enough to take the chemo and radiotherapy treatment that would have followed. My thoughts are with Mary at this very sad time. Yours, with a heavy heart and tears in my eyes, Piggy’. 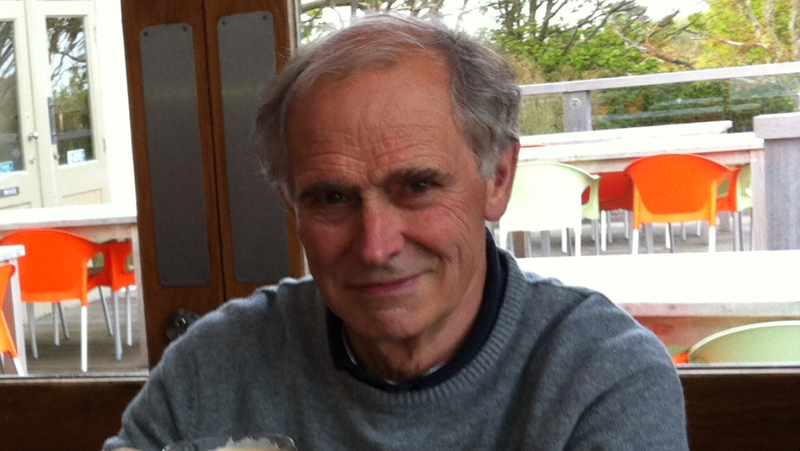 Johnnie’s funeral will be held in the Milton Chapel at the Chilterns Crematorium, near Amersham, at 2.30pm on Thursday, 5th June 2014. After the service, all are welcome to celebrate Johnnies’ life and swap stories at the Hit or Miss pub, in nearby Penn Street. Mary has asked for no flowers, preferring instead that any donations benefit the Rennie Grove Hospice Care, who helped Johnnie at home, in his final days. Please send cheques, payable to the Charity, via J Worley (Funeral Directors) Ltd, 48 Lawn Lane, Hemel Hempstead, HP3 9HL. 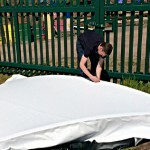 Peter Dowlen can be contacted at pdowlen@jbennett.co.uk. As part of the ludicrous and frankly bonkers requirements to get the new EASA licence for which an application form is still not available pilots will need one training flight with an Instructor or Examiner in the biggest Group that they have previous national privileges for and that you want on your European licence. You are advised that to maintain the rating you will need to remain current on the largest size balloon you choose. Nuts, but there may be a change in the future as mentioned in the Light on the Horizon piece. After the ordeal please make sure that the Instructor or Examiner signs your logbook alongside the appropriate flight and does it correctly. It goes without saying you’ll probably have to help them and lend them a pen (make sure you get it back). The charming fellow must enter the words ‘Instructor Flight’, their licence number, the EASA balloon Group A, B, C or D. (note that isn’t the existing UK balloon Group) and then sign it. Without that it isn’t worth a carrot. 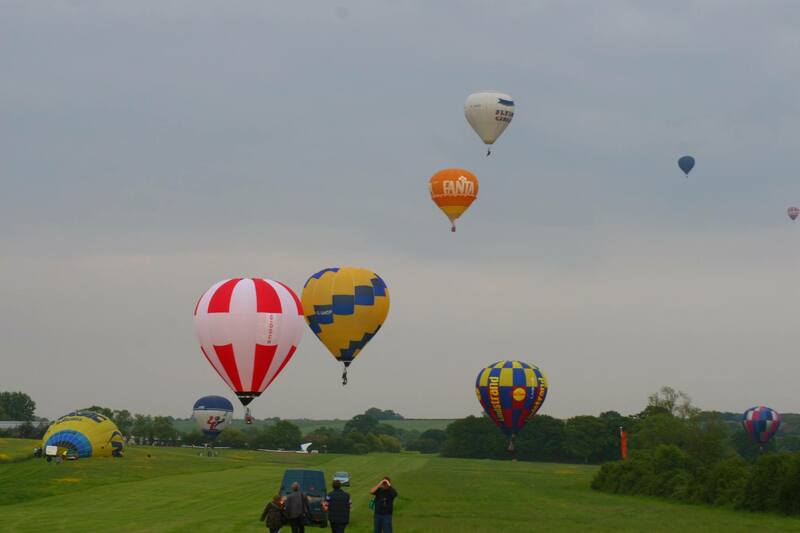 News in that in connection with the Classic & Retro Action Day on Saturday 28th June 2014 at the Castle Combe Circuit balloons are cordially invited with flying opportunities from Friday 27th to Sunday 29th June. The Classic & Retro Action Day has been running at the Castle Combe Circuit in Wiltshire for a number of years but 2013 saw a revitalisation in the event as additional effort was put both into the car displays and into the show element itself with the introduction of vintage bus passenger rides and more stuff going onto the circuit! 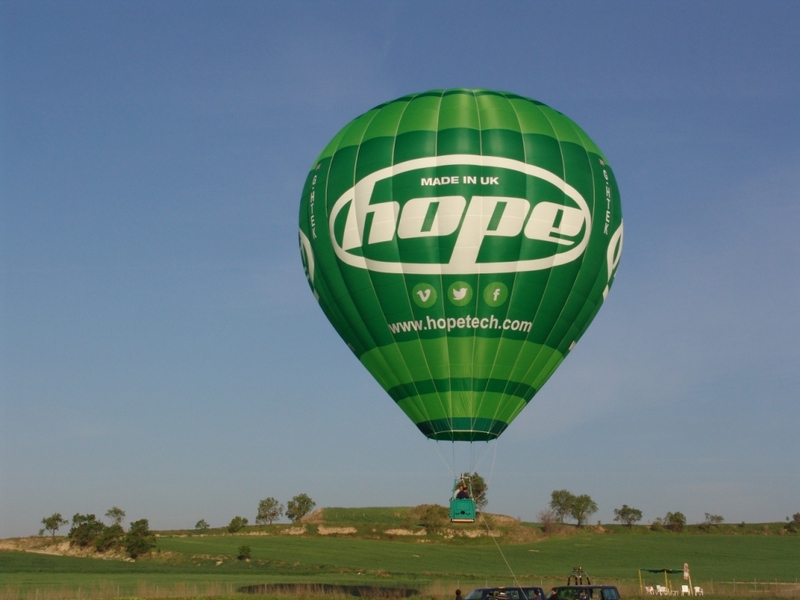 2014 sees a new ‘introduction’ as Elite Air (UK) Ltd has recently joined forces with the Circuit to promote hot air balloons at the event and this is where balloons hopefully come in! It is believed that this is the first time that a mass hot air balloon ascent has been made in the 50 years plus history of Castle Combe. It is hoped therefore that the event is a success and that they can run further hot air balloon activities at future events both this year and next. 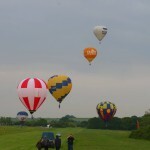 This then is a ‘test’ hot air balloon event for the Circuit so if it all goes to plan it should be a success for all! All balloons are welcome from private to commercial and special shapes. 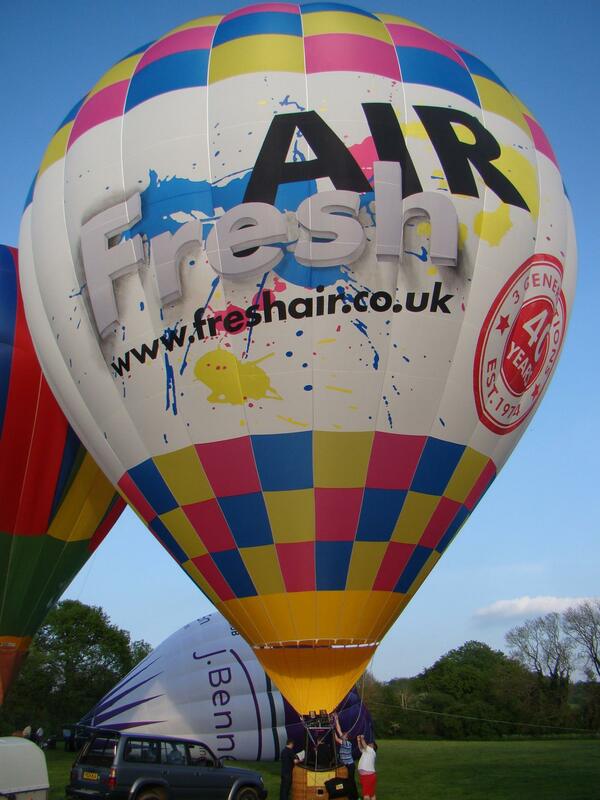 If you have a balloon and love flying then this will be for you! 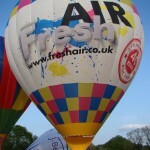 They are aiming to attract around 25 balloons this year which they understand is very ‘doable’. Flying opportunities will be available on the Friday evening, Saturday morning, Saturday evening and Sunday morning with the event itself, taking place on the Saturday (9am to 5pm). In addition they are looking at providing an area for an ‘interactive’ balloon display which will run during the event day. This is to encourage and promote ballooning with visitors to the event and to give them the opportunity to experience the joy of ballooning without actually taking off! Subject to weather conditions, it is intended that they should fly out from the Circuit on Friday evening, Saturday morning and evening with the last flight Sunday morning. 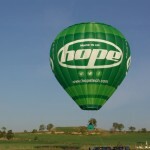 The management of the balloon element of the event will be co-ordinated by Clive Wiltshire of Elite Air (UK) Ltd. He will be putting together a full Ballooning Operations Team for the event. For full details contacts are for general enquires Jo Sparrow, email jo.sparrow@castlecombecircuit.co.uk Tel:01249 782417 and for balloon event details Clive Wiltshire, Elite Air (UK) Ltd email clivewiltshire@hotmail.co.uk Tel 07858 060321. 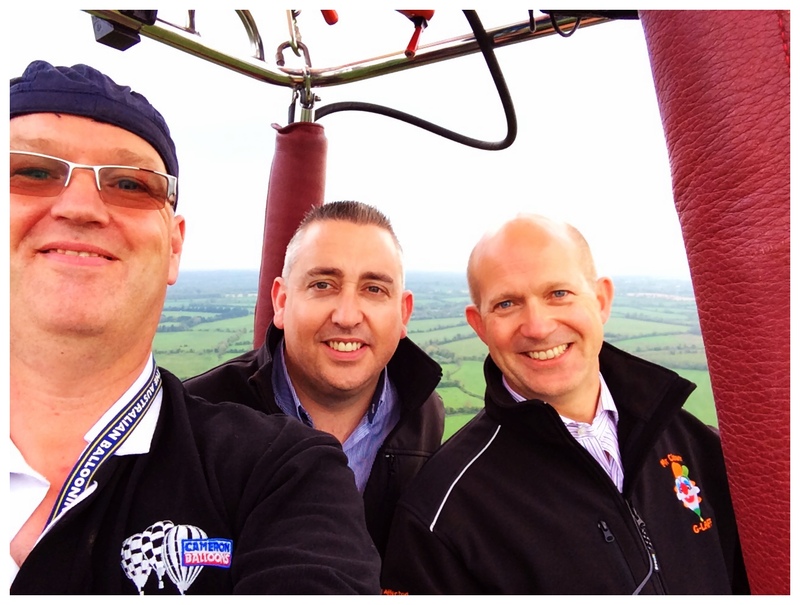 From the CAA comes the latest advice on the changes ahead for Balloon Ride and Aerial Work Operators. Seems that at the moment EASA will adopt a much more AOC type approach to Ride Balloon and Aerial Work operators. This is with regard to the Air Operations Regulation and will apply to all balloonists who undertake paid passenger flights and all balloon aerial work (Operators must not confuse this regulation with the Aircrew Regulation that will be fully implemented on 8th April 2015). The parts of the Air Operations Regulation that apply here - Part-CAT(B); Part-SPO and amended areas of Part-ORO and Part-ORA will not be fully implemented in the UK until 21 April 2017. Amongst the important changes the regulation will require a 12-monthly Operator Proficiency Check (OPC) with an examiner which will replace the current 13-monthly Base & Line Check. I'll try and discover what ORO ORA and SPO means if I run out of things to do. Also, the need for an operator Safety Management System will be mandatory. 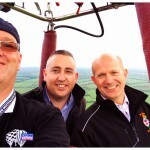 It is pointed out though that as the UK already has an established AOC system, in reality, operators may see somewhat less change than other European balloon operators. Balloon Operators should make themselves aware of these regulations as soon as possible and start to prepare their individual transition plan. Here is the link to the thing, good luck, you’ll need a bottle of scotch otherwise you’ll probably loose the will to live. Yes it does refer to Aerial Work operations so we will await the CAA’s take on that and their interpretation. Gold plating? Watch this space. The Met Office are changing the UK Ballooning Forecasts after consultation with the CAA and balloon industry representatives and following a ballooning meeting at The Met Office on 15th April 2014. The changes relate to the "Ballooning text forecast" only. The "Wind/temperature profile" forecast will [for the moment] not be affected by these changes. The "Ballooning text forecast" will take on a completely different format with effect from 2nd June 2014. A document called 'Enhanced ballooning forecasts provision-Service Definition Document' written by Darren Hardy from the Met Office, explains the changes in detail and offers an insight into future proposed developments that will benefit iPhone and smartphone users. We got a copy sent to us by the CAA but sorry we can't find the link. It was produced by the Met Office so should be somewhere on their site. All feedback on the revised service should, in the first instance, be sent to david.gibbs@caa.co.uk and copied to ian.chadwick@caa.co.uk. 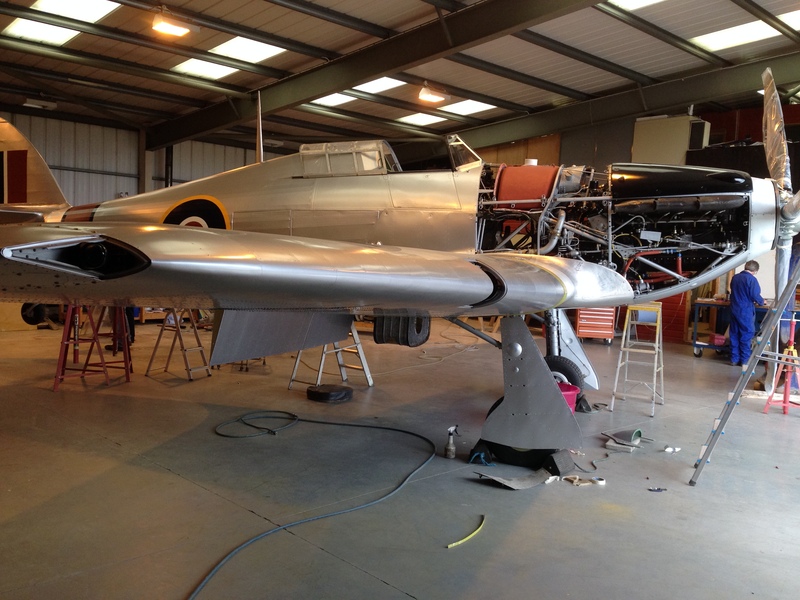 Brilliant news from Phil Lawton that his Hurricane rebuild is finally getting to the end and plans are now realistically being made for its maiden (well second) maiden flight from Thruxton in the near future. Although the flight date has not been set yet as they are still waiting for the Permit to Fly it is booked into a couple of Finnish Airshows in late July. 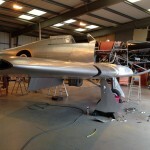 G-CBOE is now, as planned, AG 244 painted in the colours of a Southern Rhodesian Air Force Hurricane Mk X. There should be a bit about it up soon under Phil’s Hurricane update - one nearly done. CAA Complaints - what is this all about? Just launched, bless them, the CAA have given us two months (just) to respond to their latest consultation ‘Regulating General Aviation’. Their stance is that the CAA is committed to introducing a more appropriate level of regulation for general aviation (GA), in line with its statutory duties to ensure the safety of those who are involved with aviation activities. To drive its new approach to GA regulation the CAA is consulting on an overall policy for the sector that will be used as the basis for its decision-making when regulating the GA community. With the evocative title of the consultation being headed up by CAP 1188 ‘Let there be Flight’ it promises to address many of the issues raised by the responses from the rushed ‘Red Tape Challenge’ consultation and features a balloon on the cover. Nice one. Unfortunately if you read CAP 1188 it appears that it is a lot of questions with CAA answers (sorry suggestions) and is really all about risk analysis and even sports one of those bonkers coloured risk assessment charts. Theory here then from the CAA’s point of view is “Would deregulation affect the risk?” What can and should have been asked is “Has the increase in regulation improved safety?” The deadline for responses to this is Thursday 31 July 2014. They are, they say, ‘seeking responses from the broadest range of stakeholders (that word again grrr) possible, from the GA community itself as well as other airspace users, other aviation activity participants and UK consumers in whose interest the CAA regulates’. Nope doesn’t mention customers. They would like to gather as many views as possible and would therefore be happy to arrange face to face meetings with stakeholders (double grrrrrrr). ‘CAA Board of Directors Fronts Up To Angry Stakeholders’ would be a great headline. 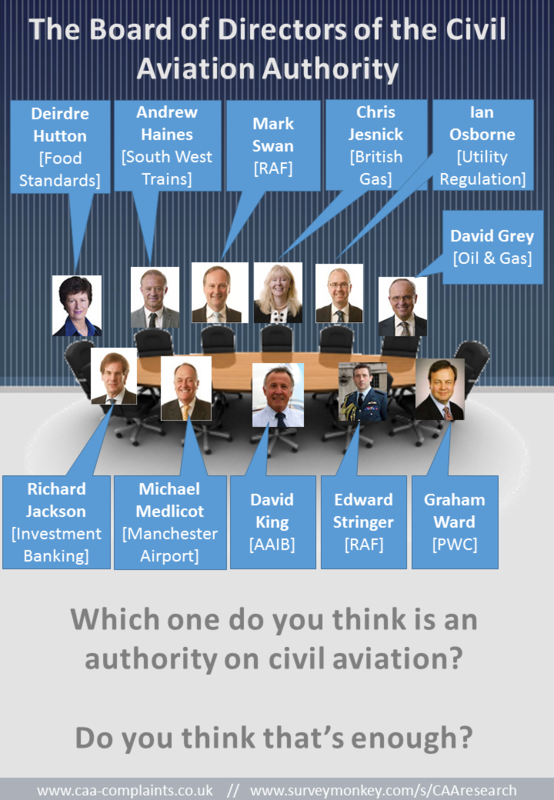 See, it does nothing to improve the ‘Them and Us’ perception of the CAA but the vision made me chuckle. Best you struggle through the 42 page tome (including an introduction by Mr Haines) and make your own mind up whether you respond to it or not but bear in mind that Don Cameron has already produced a very good field study that would suggest that the risks posed by balloons is significantly less than pushbikes that these days share pavements. Please ensure that you do explain you are a customer and that the CAA should actually serve your interests. You are not a stakeholder. Like when did they last pay a dividend or invite you to be a decision maker? I await to see when the Press Release announcing the consultation (or any others) comes out. They are probably busy responding to CAA Complaints Ltd! Whether you can respond outside of the ‘Questions’ they raise I really don’t know but an ‘and finally’ paragraph wouldn’t hurt. No need to be rude just confound them with facts. Don’s article ‘Don Cameron - The dark art of Regulation and the Balloon Industry’ is a good starting point and, just published, 'Talking to EASA April 2014 - The Experience according to Don' is the follow up to his earlier article. 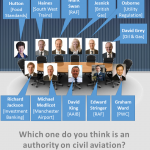 Both contain good basic facts that should be considered by the CAA and, of course, EASA. To arrange a meeting with the CAA contact Lisa Dugard at lisa.dugard@caa.co.uk. All responses should be sent by email to GAframeworkresponse@caa.co.uk by 31 July 2014. The inspiring 42 page ‘Let there be Flight’ paper can be downloaded from http://www.caa.co.uk/default.aspx?catid=1350&pagetype=90&pageid=16184.